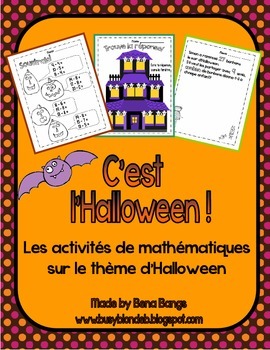 This package contains 8 Halloween-themed math activities to help students practice math skills in a variety of fun ways. 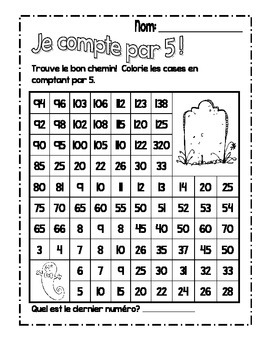 It is suitable for students in grades 2 or 3 French immersion, or for Core French students. 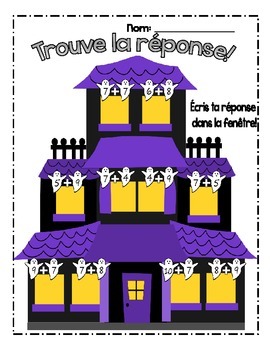 I have used all of these activities in my grade 2 EFI classroom, and the kids loved them. 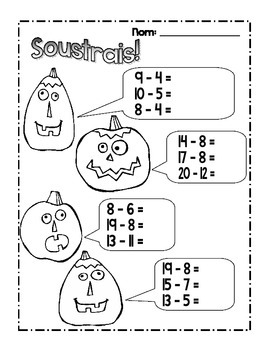 I hope your students enjoy them too! Please note, the entire package is downloadable as a preview to give you a chance to see what you are purchasing. If you have any questions, feel free to ask me before purchasing. If you enjoy this unit, please follow my store to get updates on new units! Merci!